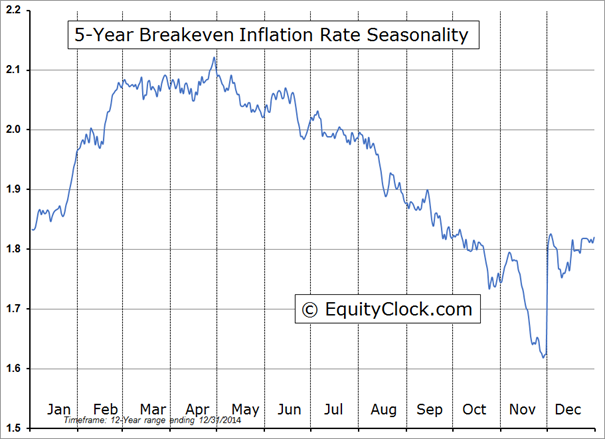 The breakeven inflation rate represents a measure of expected inflation derived from 5-Year Treasury Constant Maturity Securities (http://research.stlouisfed.org/fred2/series/GS5) and 5-Year Treasury Inflation-Indexed Constant Maturity Securities (http://research.stlouisfed.org/fred2/series/FII5). The latest value implies what market participants expect inflation to be in the next 5 years, on average. 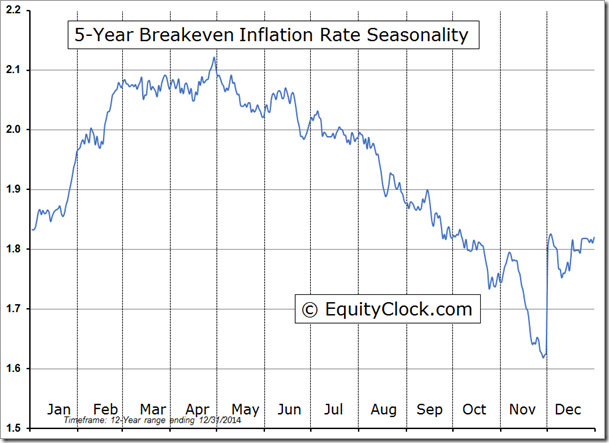 Federal Reserve Bank of St. Louis, 5-year Breakeven Inflation Rate [T5YIEM], retrieved from FRED, Federal Reserve Bank of St. Louis https://research.stlouisfed.org/fred2/series/T5YIEM/, February 9, 2015.